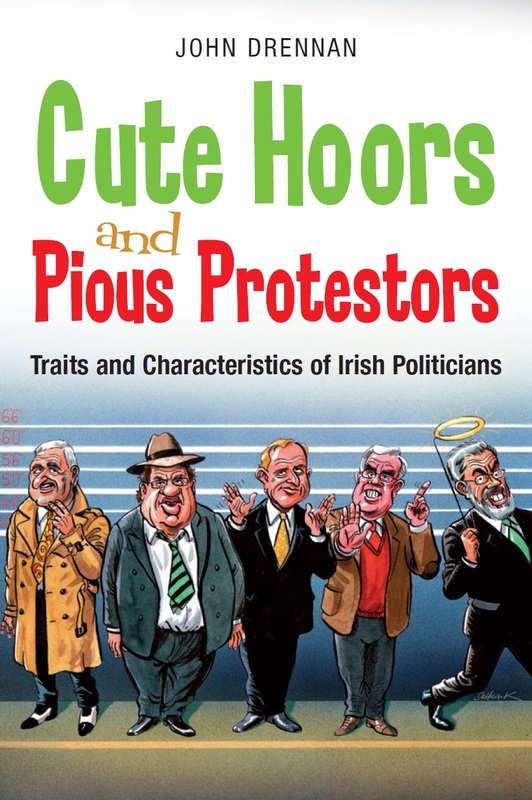 To mark the election Gill and MacMillan have given me a copy of John Drennan’s Cute Hoors and Pious Protesters to give away in an election competition! The book is a collection of original essays on the ‘traits and characteristics of Irish Politicians’ by the political humourist who will be known to regular listeners to Today with Pat Kenny on RTE Radio 1 and The Last Word on Today FM. You can read a chapter of the book here. No one is safe and anyone who has heard or read John’s work will know that he has a unique turn or phrase! In order to win a copy of the book and to mark the end of this very long campaing I thought a prediction competition would be in order! Leave your prediction in the comments and I will put all correct answers in my special electronic hat next week and pick a winner. Competition closes at 10pm February 25th. Thanks again to Gill and MacMillan for the book and happy predicting!